TRENTON, N.J., March 14, 2017 /PRNewswire/ -- Debi Madaio never thought she would become a public advocate for medical marijuana. 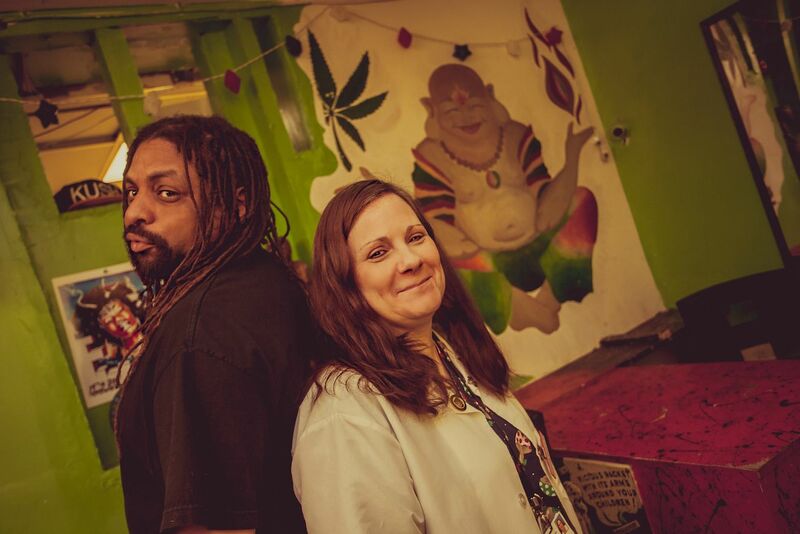 As the co-owner of NJWeedman's Joint, a popular marijuana-themed eatery, located in Trenton, NJ, and the partner of Ed Forchion aka NJ Weedman, one of the cannabis industry's most controversial figureheads, she has found herself pushed to the forefront of a movement where the voices of women are becoming increasingly vocal. A registered nurse, the mother of a special needs child, and a card carrying medical marijuana patient (even though she does not partake of the plant), Debi Madaio has come to terms with her position in the movement. In the midst of Women's History Month, a time dedicated to women's achievements, Madaio has announced her plans to reopen Trenton's only cannabis-themed eatery under new management. NJWeedman's Joint will reopen on April 20, "National Weed Day," as Weedbukx, the Urban Chic Café. While NJWeedman's Joint was a local eatery, Madaio envisions Weedbukx as a more trendy, upscale location that will attract clientele from other neighborhoods and even tourists. The restaurant's ambiance will mirror an actual medical marijuana grow room with curtains, table clothes and chairs designed and fashioned after marijuana leaves. The menu will feature weekly 'weed' specials alongside Chef John Upshaw's prized weed-inspired dishes like "Snoop's Dream," a fish and grits dish; the "Pothead Sandwich," fried fish with a shrimp crab relish and sriracha sauce; and the "East Coast Cannabis Coalition," a turkey meatball dinner with marinara sauce and spaghetti. No cannabis is used in any of the entrees! While marijuana continues to blossom as one the nation's fastest growing industries, Madaio emerges as a compelling female force in the expanding battle to legalize it. As the woman behind NJWeedman, she has remained relatively quiet until now. Forchion has garnered international headlines for his aggressive activism in the fight for legalization. His legal battles have become legendary, and as the co-owner of NJWeedman's Joint, the former restaurant attracted national notoriety as well as discord for its 'green-themed' entrees. Madaio, on the other hand, is a mother who is more concerned about the well-being of her 11-year old special needs child, Aiden. 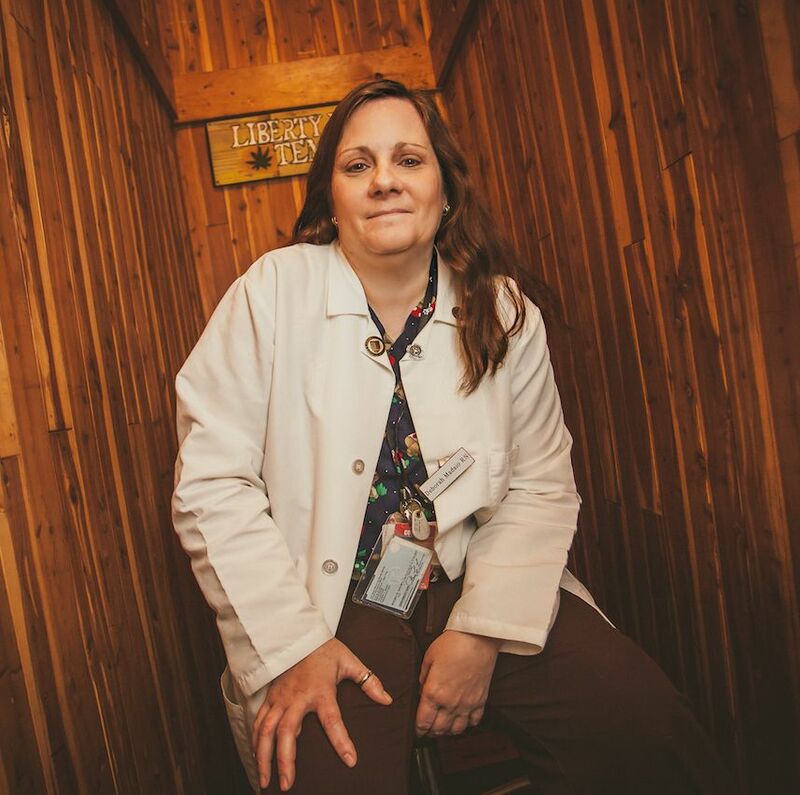 Ms. Madaio has an undergraduate degree in criminal justice as well as in nursing, and is currently enrolled in a Family Nurse Practitioner program. While currently working long hours, she envisions the eatery as an outlet which will provide work and income closer to home and nearer her child. As a medical professional and dedicated parent, Madaio has begun the lengthy process of enrolling her son so he can become a medical marijuana patient within the state of New Jersey. She believes that cannabis oil, a product obtained by separating the resins from the plant, is the best antidote for her son's long list of debilitating conditions. Madaio met Forchion several years ago at Trenton's "First Annual Cannabis Conference." Jennie Stormes, a medical marijuana mom advocate had invited her. It was Stormes who first educated Madaio about the benefits of cannabis oil for children suffering from seizures. Stormes had been at the forefront of efforts to expand New Jersey's medical marijuana program to minors before eventually leaving New Jersey for Colorado to secure better care for her severely epileptic son. "I thought Stormes was crazy until I started doing the research about cannabis oil. She had tried everything on her son, and nothing proved beneficial like the oil. It gravely concerns me that my own son has been prescribed all kinds of pharmaceuticals considered legal even to the point of addiction, while the side effects are sometimes worse than the actual illness. Yet the doctors laugh at me when I suggest a plant that has been proven to work wonders," cites Madaio. Madaio and Forchion established a friendship after the conference and eventually became a couple. When Forchion later decided to open a business, Madaio, feeling more educated about cannabis from her association with Storme, partnered with him. "I wanted to keep Jennie's dream alive and let Governor Christie know that New Jersians want legalization." "It's easy to demonize adults in this war against marijuana. But there are so many ailing minors who can benefit from this plant," expresses Madaio. "My ultimate dream is to provide for my son and to secure him the proper cannabis care that he needs. With Weedbukx Café, we are hoping to provide an upscale environment where people can celebrate the wonders of marijuana in a fun environment without partaking in the actual use of it. With card carrying medical marijuana patients, we follow NJ CUMMA guidelines. If we can educate more people via Weedbukx Café about our overall mission, then that is all the better." Weedbukx Café will open on 4/20 at 322 E. State St. in Trenton, NJ. Debi Madaio can be reached at Flamingo2b@Gmail.com, @flamingo2b on Instagram and on Facebook at "Nurses Who Have Disabled Children." Watch Debi Madaio at https://www.youtube.com/watch?v=kdKwBD2BqxY .